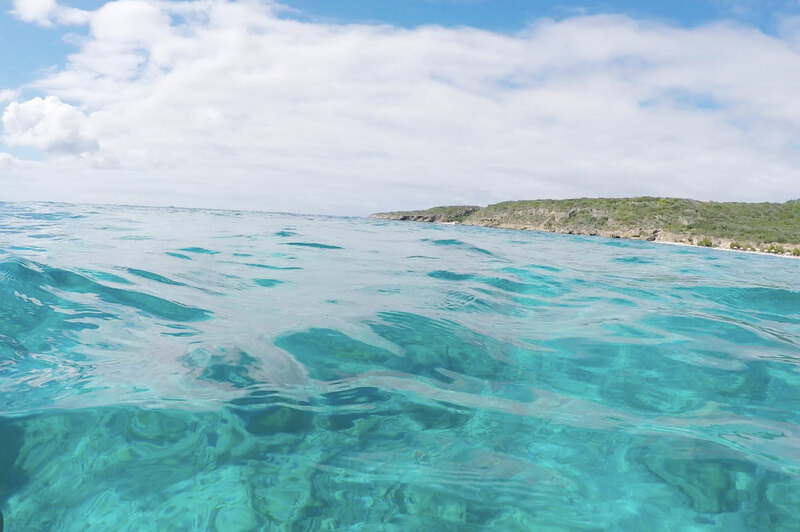 Curacao is an amazing island with cristal clear waters and for me every corner of it looks like a paradise, but if you are going there for a short time, here are my tips about the best beaches. Curazao es una isla increíble, con aguas cristalinas y para mí todos los rincones de que parece un paraíso, pero si vas allí por un corto tiempo, aquí están mis consejos sobre las mejores playas. This stunning sandy beach is located at the Westpukt. It was nicknamed Alice in Wonderland, because of it's beauty. 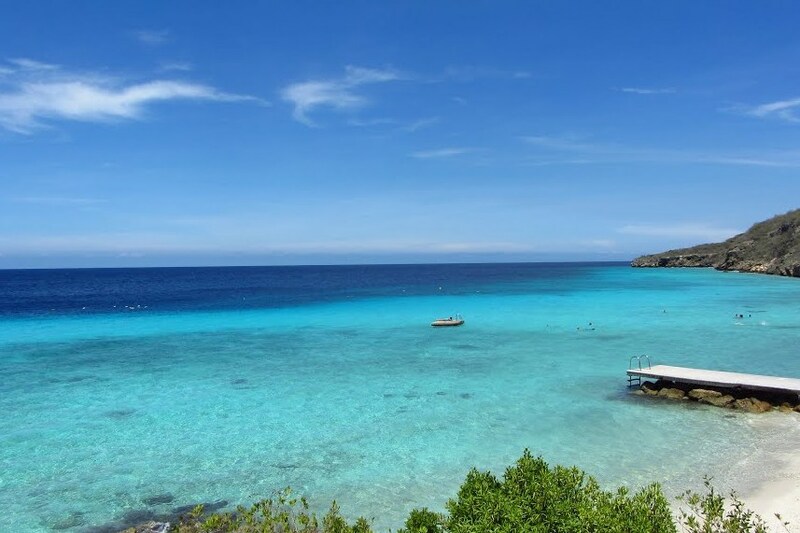 It is a perfect spot for a day at the beach specially if you are love diving or snorkeling. There is is also diving school there and really pretty bar restaurant. You can find sunbathing beds, but you have to pay for them. You can get to this beach only with car, but it's absolutely worth it! The bridge in the water is stunning! Esta impresionante playa de arena blanca se encuentra en el Westpukt. Fue apodado Alicia en el País de las Maravillas, debido a su belleza marina. Es un lugar perfecto para un día en la playa, especialmente si te gusta el buceo o snorkel. Hay allí una escuela de buceo y un colorido bar-restaurante. Hay asoladoras de pago. Se puede llegar a esta playa solamente con el coche, pero sin duda vale la pena! Hay un lindisimo puente rodeado de agua cristalina. This two beaches are both like from a movie, they are really similar, but Grote Knip called also Playa Abau or Kenepa Grandi is bigger and normally more crowded. Additionally have some great spots to jump to the water from the rock. Klein Knip called also Kenepa Chiqui is smaller, you can there with bus and then you have to walk about 2km. For Playa Grote Knip it's about 4 km of walking, so I would recommended to go there with a car. 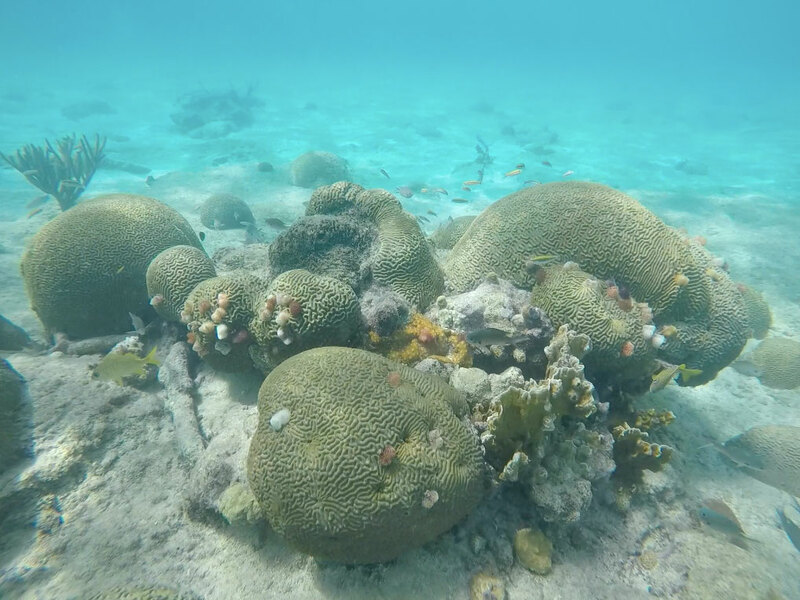 Both beaches are surrounded with rocks, so there are many spots for snorkeling. In both cases on the right side. You can find in both of them someone selling drinks and snacks, but I would recommend you to take your lunch with you. There are also sunbathing beds and umbrellas, but you have to pay for them. Estas dos playas parecen de una película, son muy similares, pero Grote Knip también llamado Playa Abau o Kenepa Grandi es más grande y más lleno de gente. En esta playa también hay puntos sonde se puede saltar al agua de la roca. Klein Knip también llamado Kenepa Chiqui es la mitad más pequeño y popular entre locales. Aquí puedes llegar con bus, aunque te toca caminar 2 km hasta la playa, a Grote Knip son unos 4km, entonces la recomiendo conocer yendo en coche. Ambas playas tienen pequeña playa de arena y están rodeadas de rocas, por lo que hay muchos lugares para bucear. En ambos casos en el lado derecho hay mejores puntos para snorkel. No hay restaurante, pero suele haber alguien vendiendo bebidas y aperitivos, pero recomendaría llevar vuestro almuerzo si piensan quedarse más horas. Hay asoladoras de pago. One of my favorites without any doubt. It's a small sandy beach surrounded with high cliffs, so view is amazing. I usually rent one of apartments at the cliff on the right, when I go to Curacao. This beach is famous beacause of beautiful formations around the cliffs and it's full of colorful fishes and if you are lucky you can see small turtles here, specially in the afternoon. Additionally there are iguanas here and they are quite familiar with tourists, so you can give the eat from your hand. Pretty experience! Another plus there is beautiful and delicious grill restaurant at the cliff, diving school and sunbathing beds for 5 dollars and you receive free drink. Una de mis playas favoritas sin ninguna duda. Es una pequeña playa de arena rodeada por una rocas altísimas así que la vista es increíble. Por lo general alquilo uno de los apartamentos cerca de esta playa, cuando voy a Curacao. La Playa Lagún es famosa por snorkel. Se puede encontrar unas formaciones muy bonitas y increíble vida marina. Hay muchos peces bebes y suelen aparecer alli tortugas marinas, especialmente por la tarde. Además, hay iguanas por todo lado y están muy familiarizadas con los turistas, por lo que se puede dar la comida de la mano. Otra ventaja, encima de la roca de derecha hay un delicioso restaurante grill con una vista espectacular, Hay también una escuela de buceo y asoladoras de 5 dólares con una bebida incluida. If you are looking for a beautiful beach with some instalations like shops or restaurant, Porto Mari is perfect for you. 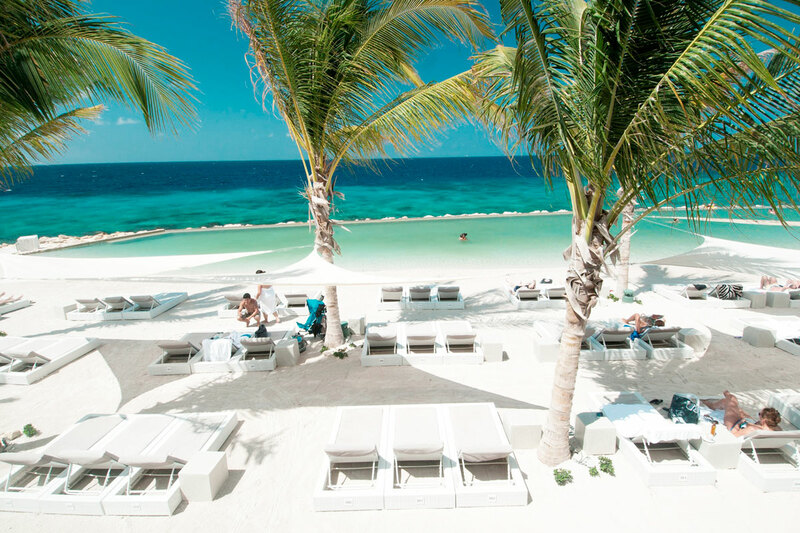 It is white sandy beach with parasols and sunbathing beds. There are showers and toilets and a bar with a large terrace. A very suitable beach for children. For me it was a little bit to crowdy, but I loved snorkeling there. You can get there only with a car. Si estás buscando una hermosa playa con algunas instalaciones como tiendas o restaurantes, Porto Mari será perfecto para ti. Es una playa de arena blanca con sombrillas y asoladoras de pago. Hay duchas y aseos y un chiringuito restaurante. Para mí había demasiada gente, pero me encantó snorkel allí ya que las aguas están muy cristalinas. Se puede llegar allí sólo con coche. 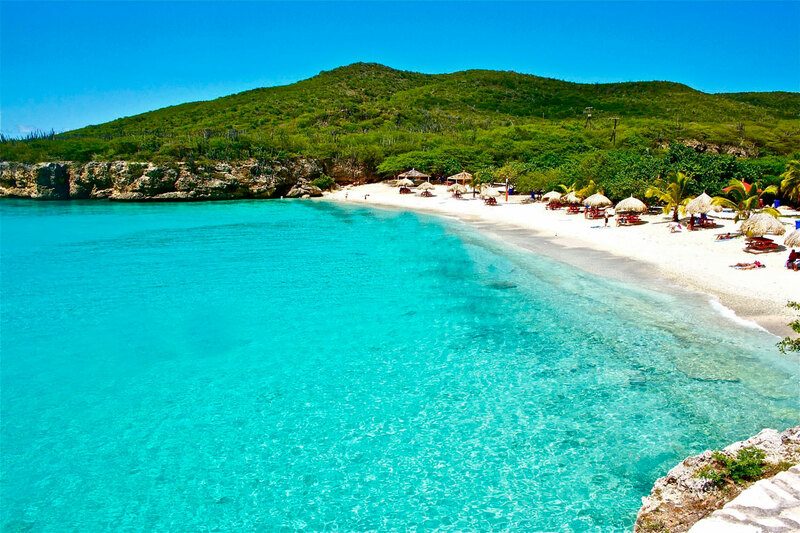 This is a small fishermen's beach at the Westpunt, called also Playa Grandi. 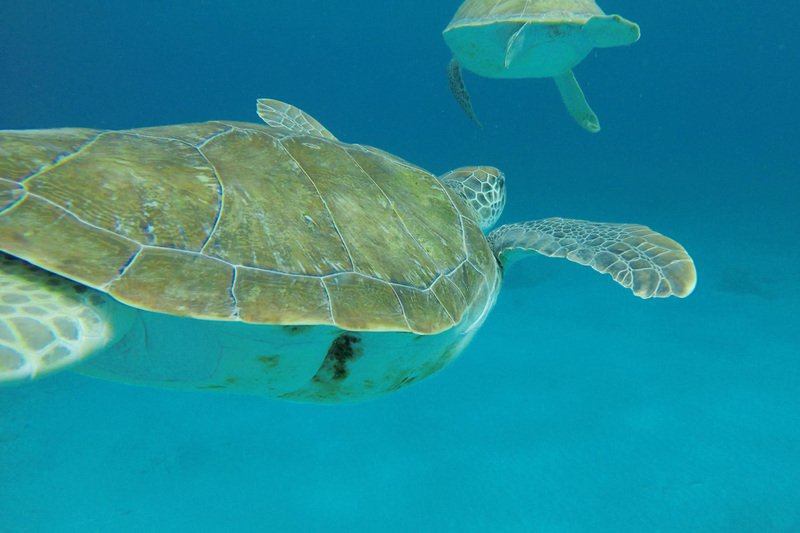 It's popular for snorkeling and diving as you almost always will find turtles here. Not pretty and comfy to stay around longer, but perfect for some swimming and photos with turtles. Entrance to the water is somewhat rocky, so don't go without special shoes. 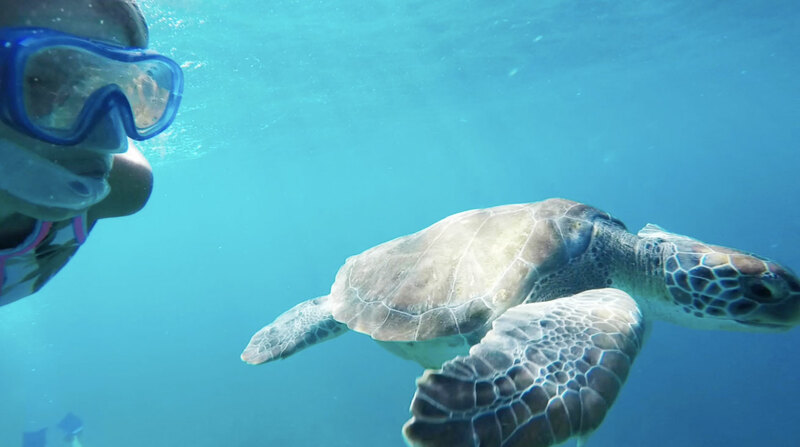 If you wanna to see some sea turtles, swim around the beach and close to the fishermen, but you have to be really be careful with nets and respect that they are working. Best time is to go there in the morning. Than you can go to Playa Kalki, which is 5 min in the car. Esta es una pequeña playa de pescadores en el Westpunt, también llamada Playa Grandi. Es muy popular para el buceo ya que casi siempre puedes encontrar alli tortugas. No es una playa muy bonita y cómoda para quedarse por más tiempo, pero perfecta para nadar y tomar fotos con las tortugas. La entrada al agua es un poco rocosa, así que no vayas sin zapatos especiales. Si quieres ver algunas tortugas marinas, nada alrededor del puente y cerca de los pescadores, pero hay que ser muy cuidadoso con las redes y respetar su trabajo. El mejor momento es ir allí por la mañana. De allí puedes ir a Playa Kalki, que está a 5 minutos en el coche. If you don't mind about crowd, but you are looking for more luxury instalations and some restaurants and shops around, Jan Thiel is a beach for you. It is located in a residential area east of town. Perfect family beach with space for children. Snorkel is ok, but you can't compare it with west part of the island. You can get there by bus. Like everywhere you have to pay for umbrella and sunbathing beds. It's worth to visit at night and have some drinks there. Si no te importa la multitud, pero buscas unas instalaciones más modernas y lujosas y algunos restaurantes y tiendas alrededor, Jan Thiel es una playa para ti. Está ubicada en una zona residencial al este de la ciudad, accesible con bus. Es una playa familiar, perfecta para los niños. Snorkel allí está bien, pero no se puede comparar con la parte oeste de la isla. Como en todas partes hay asoladoras de pago. Seguro vale la pena visitar la por la noche o durante atardecer y tomar unas copas con vista al mar.